JYSK believes that storage should be stylish. With space becoming a premium, no longer can you stuff cardboard boxes into the attic or the basement. Because we realise the needs of our customers, our storage solutions will not clutter up your home nor will they take away all of your hard work into making your home a nice place to live. Online and in store you will find that your needs will be met. 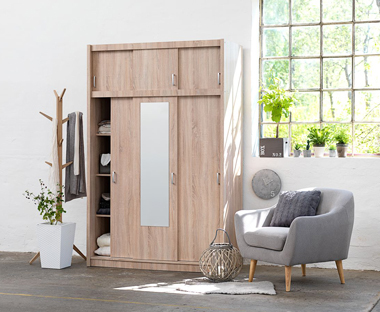 For example, do you need swinging doors or sliding doors for your wardrobe? JYSK has the answer! Do you need a chest of drawers with draws or doors? JYSK has these and more! Have you got more books than you can count? Our bookcases can help you start your own library! 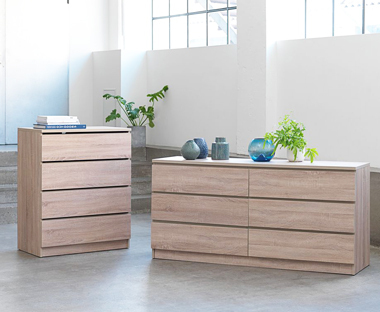 Our storage solutions, all of which come in a variety of styles and finishes, can all be bought at great prices – saving you money and space. Each item can, and will, compliment your home, making it feel less cluttered and cramped. 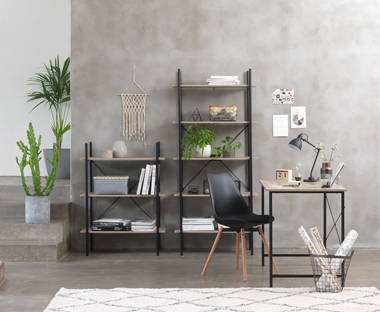 All items are flat packed in the Scandinavian style for convenience, and they are simple and easy to assemble.